Welcome to The Toast Club! Welcome to The Toast Club! Toast was started as a Boston area classic cocktail society dedicated to drinking for a cause! We preserve drinks from a bygone era as we educate ourselves about the important and nearly forgotten forebroads who sipped them. Originally founded in February 2007 as LUPEC Boston (Ladies United for the Preservation of Endangered Cocktails) by Misty Kalkofen and nine fellow cocktail enthusiasts, the organization was the city’s first and only female-oriented cocktail society. In 2017, in an effort to expand our membership and evolve beyond the charter of the founding chapter of LUPEC, we became The Toast Club. In addition to preserving our own personal Joie de Vivre by guaranteeing members and guests good cocktail parties, The Toast Club strives to enhance and improve the lives of women through fundraising events for women’s charities. We partner with local bars and liquor purveyors to offer co-ed classic cocktail parties and special events. SOME NEW AND CLEVER FORMS OF ORGANIZATION. 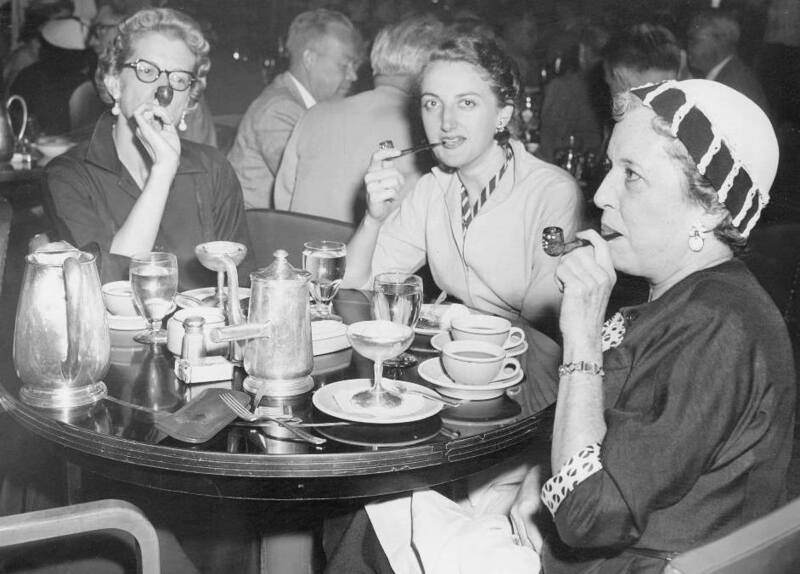 There is something both frivolous and instructive already shadowed forth in the first meetings of the Toast Club, that acknowledges Boston as the city of its nativity, and is composed of a strong body of those women who can achieve anything when once braced by a handsome luncheon. It is when the tide of the menu has ebbed to coffee and the butler sets before every woman a glass of that innocently wicked potation, green swizzle, that the hostess and toast mistress rises for her remarks. She leads off with a few choice sentences and calls upon some guest, who has only received warning as she entered the dining-room, to respond to the toast given at the bottom of her menu. of the questions ventilated in the requisite four minutes allowed for each of them. The Toast Club is a social networking group with twin goals of raising awareness about women’s issues and raising money for women’s charities. Step #1: Gather your people! When we think of how far we’ve come, it’s hard to believe our little group got started just by getting a bunch of broads together in one room, with cocktails and ideas flowing! To start your own, we suggest getting a bunch of like-minded ladies together, either in someone’s home or in a comfortable public space meeting space. Batch up some cocktails, either your favorite classics, some from these pages, or make up your own! This is your Toast Club code name! And this is one of the most fun activities, but should be conducted with care. Angel’s Dream, for example, would be a dope cocktail moniker - but do you want to be drinking a drink made with cream, Creme Yvette, and maraschino liqueur if you’re lactose intolerant? There’s really no presh to be drinking your namesake all the time, but you’d want it to be a name you enjoy both phonetically and on the palate. As for sourcing, the internet is rife with resources, but it’s also a real blast (for us nerds, anyway) to comb through the pages of vintage cocktail books...or any cocktail books, really! Bartenders have a reputation for changing one ingredient in a drink that works and christening that drink with an entirely different name (you can also do this) meaning there is no shortage of cocktails with intriguing names that are yours for the choosing! Prior to your meeting, check out the Toast Club website for a list of Toast-approved charities. Don’t see a dope charity that you want to fundraise for represented? No problem! Fill out the Charity Suggestion form and let us know who you want to support. How you follow up and organize is your business, but after meeting #1, visit the Toast Club website and fill us in! Once the group is confirmed as #officiallytoast, we will help support you in any way that we can! This will mostly be remotely, via social media and email newsletter shout outs, but you can always reach out to tell us how WE can help YOU. Step #3: Meeting Two, and Three, and Beyond! Ladies, the sky's the limit! If you’d told us that our first meeting would result in a $15K donation check to a local women’s charity just 10 months later, we’d never have believed you. Once you have your goals set, determine how often you’d like to meet and some basic parameters. Your group could be something akin to a book group who meets monthly except cocktails are the focus and everyone throws a little money into a charity jar, or you can be a charity cocktail party club that does large scale events in your city's best bars! We can help along the way. Serve delicious cocktails and improve your own personal joie de vivre - usually well made drinks are enough for this, but feel free to educate your guests to whatever degree suits your fancy!